European Football Championship 2012 Cup, which takes place in Poland and Ukraine, was a success for the Spanish national team, reached the semifinals. 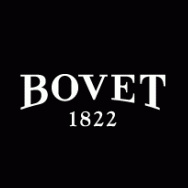 As you know, the team coach Vicente Del Bosque is the official face of the Swiss watch company Bovet, and when in the final of the World Cup 2010 at the 116th minute the Spaniards won the Cup, the wrist of the jubilant coach is adorned by Bovet Saguaro Chronograph. Following the general moral values, the watch, counting down the last seconds before the glory of the Spanish national team, was put up for auction and the proceeds transferred to the charitable foundation to support children with de-Down syndrome. With the new Bovet Cambiano Chronograph watch on the hand the Spain coach led his team to the semi-finals and will fight for the championship title for the second time. Surely, such a magnificent chronograph as Bovet Cambiano Chronograph will bring a good luck to the living legend of modern football - Vicente Del Bosque. The round case of the novelty Bovet Cambiano Chronograph from satin stainless steel Amadeo type, having the ability to transform itself from a pocket into a wrist and table watch or a sporty timepiece, has a diameter of 45 mm and a thickness of 15.45 mm. The steel bezel of the model is covered with black DLC-coated. Crown, which is located at 12 o'clock position, and buttons of the chronograph function are also made of stainless steel. Anti-reflective sapphire crystal protects the case from the front and back sides, which allows you to observe the work of the manufacturing self-winding movement with chronograph function. The diameter of the caliber is 31.00 mm (13 ¾'' '), and the thickness is 8.40 mm. The carrying frequency is 28,800 vibrations per hour, power reserve - 50 hours. The watch is equipped by a rubber strap with a buckle Ardillon of stainless steel. The waterproof of the model is up to 100 meters.